Hello first week of Advent! It’s getting christmassy here in Germany and judging from the plethora of Christmas trees that had popped up on social media over the weekend we’re not the exception. To be honest I don’t feel the Christmas mood. But I have another four weeks. And if not then not. I am one of the few people who don’t LOVE LOVE LOVE Christmas. Although I love Christmas markets. For the food and drinks obviously. I am opportunistic! But before I completely digress now let’s catch up. Meaning I link up with Meg and tell you everything about my last week. It hasn’t been much to be honest. Work is insane. My own choice though. 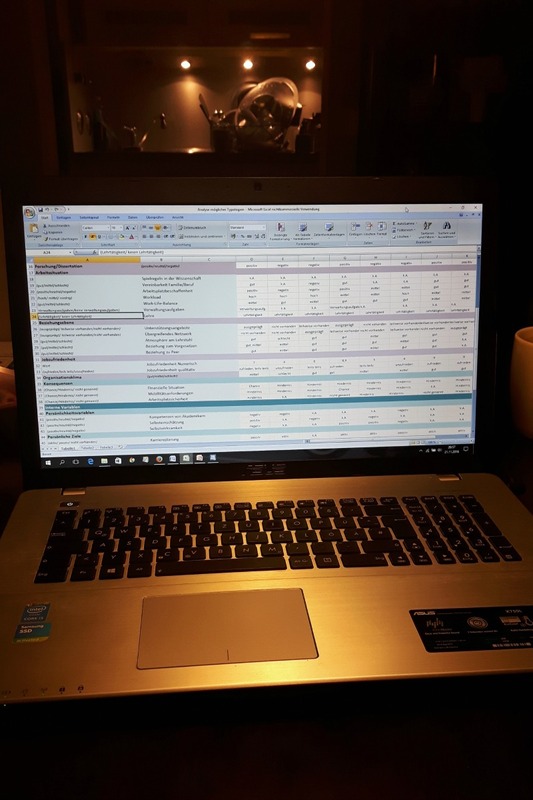 I am doing a lot of coaching and on top I had another workshop I co-hosted with my colleague and in the end I had a 3 day office week that came down to over 30 hours of work. It’s been exhausting. On the thesis front I make good progress. I wrote 13 pages last week. I went to PhD class all Friday afternoon. And I had a meeting with my professor where we discussed a few thesis related things and he signed my credit sheet. I have officially completed PhD class now. Big yay for this. I’ll still go occasionally because it’s a place where I usually gather a few interesting insides and thoughts for my work. And I still have a presentation in January. I went on a chat/work coffee date with my friend/ Crossfit buddy/ PhD buddy on Wednesday. Catching up is always so nice and having her as a reason to add another hour of writing to the end of my workday helps immensely. I am talking about my future career with a few people lately and she is one of these persons who understand my wish to change career paths and also comes up with interesting input. I really appreciate her view on all of this. 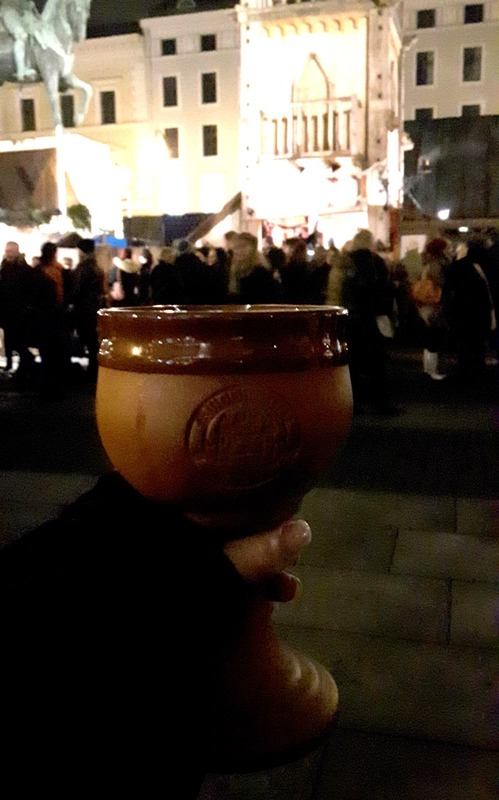 On Friday after my class Stefan and I met in Munich and went to the Medieval Christmas Market. We had good food and fire tongs punch and it was nice to go out on kind of a date after some time again. On Saturday Stefan and went to Narnia. The Christmas Market there is such a magical place and I love our little tradition to go there once in the Christmas time. The food there is outstanding. And if you leave hungry or thirsty it’s definitely your own fault. Sunday morning I relaxed. I made hot chocolate cubes as a Christmas giveaway for friends and family. If you follow me on Instagram stories you have seen me waiting for the chcoclate to firm up. But the outcome has been really good. I love Christmas spiced hot chocolate in December. I also made gnocchi for dinner. 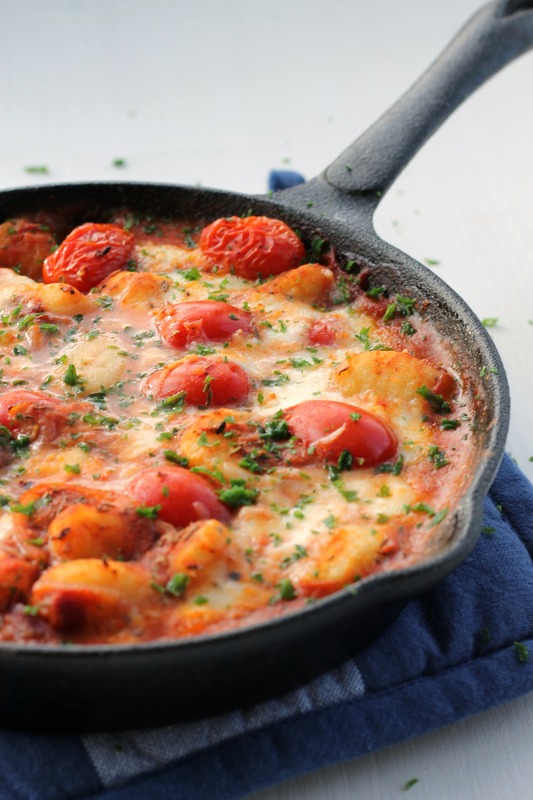 This Gnocchi recipe is one of my favorite recipes I have on the blog. It takes no time to put together and is just so yummy. Because it’s the season for saucy and cheesy food, right? I am already greedily eying the leftovers I’ll have for lunch. Cold obviously because it’s maybe even a bit more awesome when it’s cold. 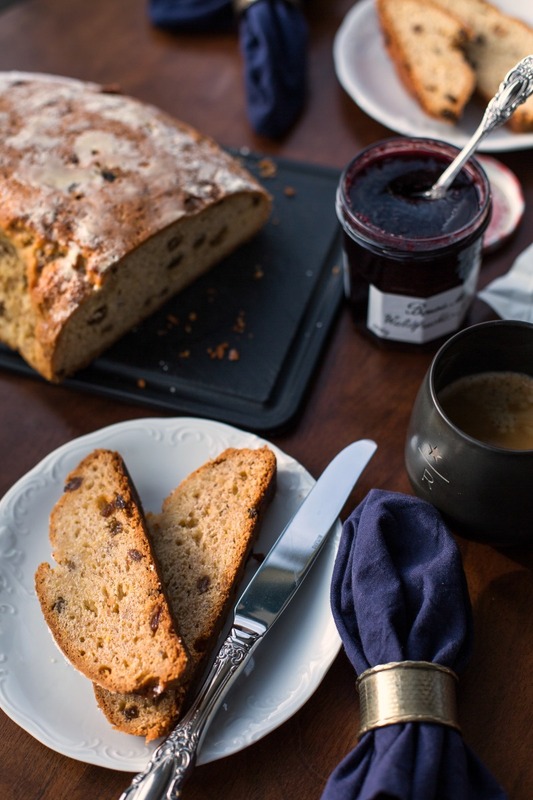 In the afternoon Stefan and I had a 1st Sunday of Advent coffee and stollen date in the kitchen. My mum-in-law makes the best stollen ever and I am sure it won’t last very long. Sadly. It’s amazing! I am going to have my second cup of coffe now. Work is demanding my attention and I am actually in such a good work mode right now. I will not give in any old and deep-rooted procrastination habits. It usually takes me a little while to get in the Christmas spirit, but I’m really into it this year. I was happy we got all of our decorations us yesterday. That market is absolutely gorgeous! And the food looks amazing as well! 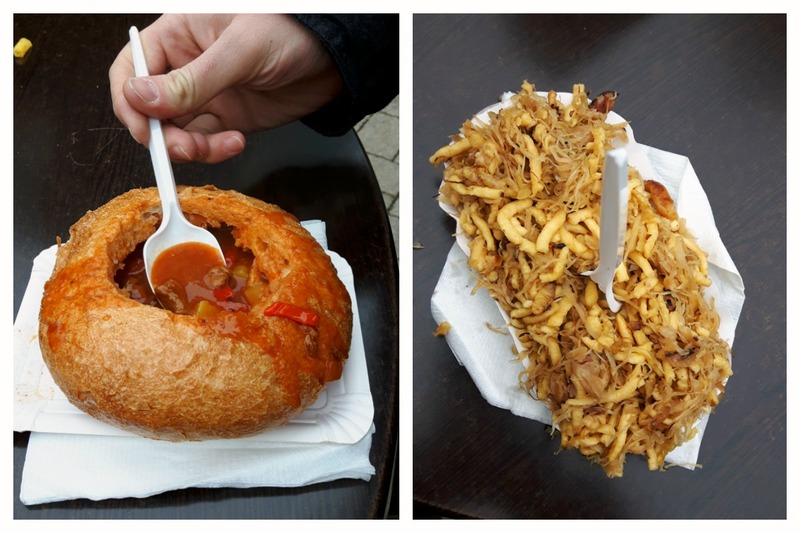 It was lovely spending time at the markets and eating so much yummy comfort food! It takes me a bit to get into the Christmas spirit too. That said, your photos are beautiful. 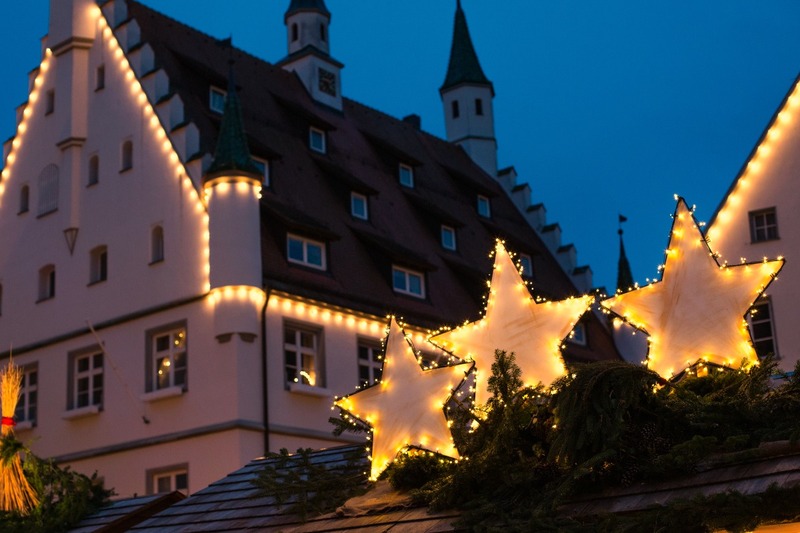 I would love to be in Germany sometime for Christmas. The lights with that style of buildings is really romantic. Keep powering through on writing that thesis! Glad you have a friend who’s good moral support on the thesis and future career options. Yes, we have a few really picturesque little towns here and especially around Christmas when everything is lit up and polished it’s really pretty here. Thank you. You’re so right. I am unbelievably grateful for my support system. Narnia is definitely on my list for when we visit you and Stefan. I know I won’t go hungry there and I get to be a part of the magic. Congrats on the class credit. That is awesome!! Yay 😀 I think I need more gnocchi in my life. It’s an awesome and quick meal. I really want to make the ones in sage butter again soon. Oh definitely. It’s a must! Narnia is calling! 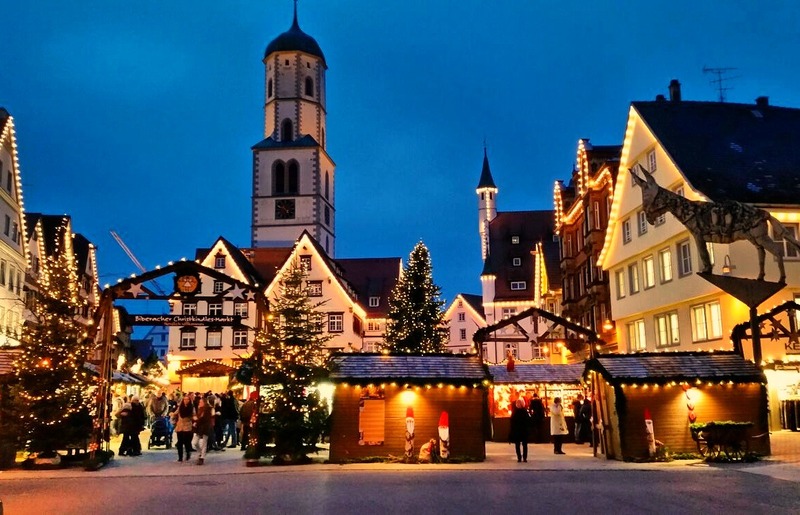 Look at all the Christmas Markets! Oh my gosh. That’s enough to get anyone in the spirit. The Distillery District where my theatre is (I believe you made it there this summer when in Toronto??) is now fully set up as a Christmas market. You’d love it. Gingerbread looking houses lining all the cobblestone roads, lights, massive pretzels and poutine vendors, mulled wine bars with outdoor heating. Its lovely, except maybe you when you work there like I do and have to brave the crowd masses every day. Ah well, I’m not complaining. Congratulations on officially being done your PhD class! That’s huge! Here’s hoping all these good working vibes continue on through this week. Thank you 😀 I’ll need these vibes for another few months. So hopefully they continue! Oh Juli I don’t think I will stop thinking about European christmas for the next month! I think it’s because we have no visitors this year and it makes me pang for home and all the traditions from home. But time to keep my head up and start some new traditions here I think. Well done on the progress of your thesis. I am super impressed at all your hard work, everyone else seems to be winding down right now but you are staying strong and getting it done! Big high fives for you. Definitely! How about Christmas Sangria? Or even better Christmas inspired gelato? You always have the most amazing pictures!! Thank you so much Jen 🙂 That totally made my day!